The four safe zones to be established in Syria will be closed for flights by US-led coalition warplanes, said the Russian envoy to the Astana peace talks, where the zones were agreed upon. “As for [the coalition] actions in the de-escalation zones, starting from now those zones are closed for their flights,” Aleksandr Levrentyev told journalists in the Kazakh capital. He added that the flight ban was not part of the memorandum establishing the safe zones, but assured the coalition would not fly over them. 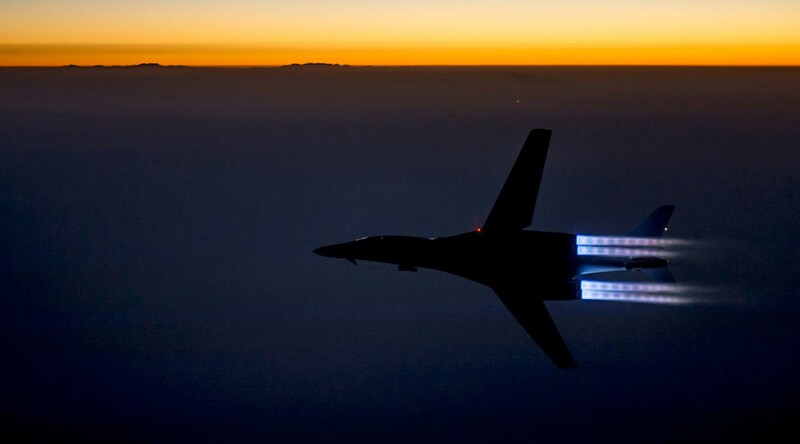 He added that the US-led coalition would continue airstrikes near Raqqa, the Syrian stronghold of Islamic State (IS, formerly ISIS/ISIL), near some towns near the Euphrates River and close to the city of Deir ez-Zor. 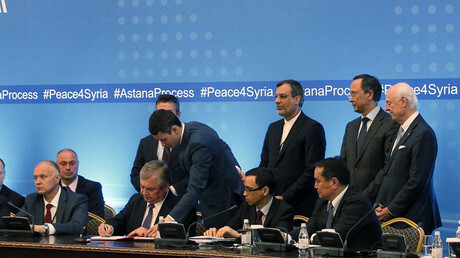 On Thursday, a memorandum was signed in Astana establishing four “safe zones” in Syria, where so-called “moderate opposition” fighters are expected to stay safe from airstrikes and keep jihadist groups out. The zones are set in provinces of Idlib, Latakia and Homs, as well as parts of Aleppo. Russia, Iran and Turkey serve as guarantors of the arrangement, which carries hopes of deescalating violence in the war-torn country. The move was cheered by the United Nations and welcomed with reservations by Washington.